In this chapter we focus on one-dimensional partial differential equations on graphs. 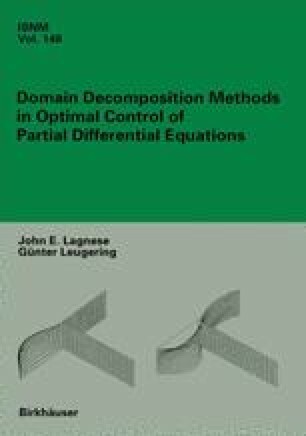 Partial differential equations on graphs, or on higher-dimensional ‘networked’ domains, have frequently been considered in the literature, beginning with the work of G. Lumber. We dispense with displaying a list of papers on this topic, but rather refer the reader to a recent proceedings volume  for an account of current research in this area. For higher-dimensional problems and, more importantly, for optimal control problems for partial differential equations on graphs or networked domains, see .